The yarn community is filled with amazingly creative designers, dyers and spinners. Tina Whitmore, founder of KnitWhits is certainly among that set and her new yarn company, Freia Fine Handpaints proves that point yet again. Just look at the variety of colors available in this super long gradient yarn, and this is just half the page of options. As always, my impulsive nature required I knit something with this new yarn. 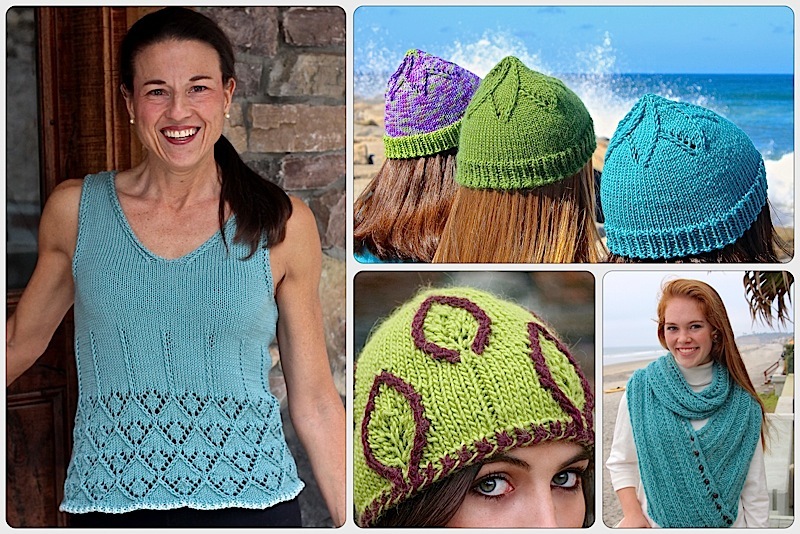 I was also looking for a project for a knitted gift class and the Dubhlinn Cable pattern seemed like the perfect fit. Learning how to knit our new faux-cable, the Showy Cable is easier in the round. A simpler version of this cowl was shown in the announcement for the Showy Cable idea. Read that post for more about the technique. This pattern update, adds a decorative cast on and bind off . The result is a fun, quick knit with some interesting new techniques. I’ve been teaching the Knotted K2Tog Bind Off to knitters at Jimmy Beans Wool and everyone has loved it. I urge you to give it a try. There is even a video to show you how it’s done. You can see it on the pink edge above. The 10” height allows the cowl to pull up over your ears when chilly but fold and wear as a collar when you just want a pretty something around your neck. With this yarn you can fold it either way and have two options. The edges have been designed to peek prettily under the other edge. This is the second of 3 designs using this combination of Showy Faux Cables. The Dubhlinn Summer Shell was announced over the summer with its knitted Flat i-Cord straps. Next up is the hat version which has beautiful shaping at the top. It will be helpful to try the cowl before you knit the hat. One more plug for the bind off! This entry was posted on November 27, 2017 by Laura Cunitz in Edges, Free Downloads, Nuances, Patterns, Scarves, Showy Cable, Showy Decrease, Yarn & Yarn Shops and tagged Decorative Bind Off, Free Patterns, freiayarns, Knit cowl, knitting.